It is a great honor that we have been awarded the Mark of Excellence from General Motors over the past few years. 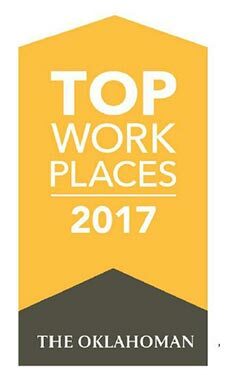 This is an award we will strive to earn, each and every year, by providing exceptional service to all of our valued customers. While this award is not easy to achieve, we believe it is what sets apart dealerships and what makes us your local Chevrolet Dealership. This is the most prestigious award any GM dealership can win for exceptional performance in sales and customer satisfaction excellence. 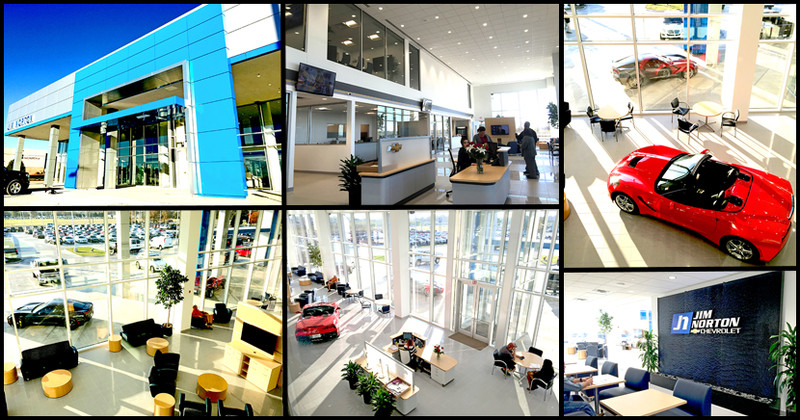 We are proud to announce our BRAND NEW state of the art dealership! We've been working towards this for the last four years, and we can't wait for our customers to see it! Its equipped with state of the art equipment to help us better serve our customers. More importantly it has an open, inviting atmosphere and plenty of amenities to make any time spent at the dealership comfortable and fun. It is also the greenest dealership in Oklahoma! 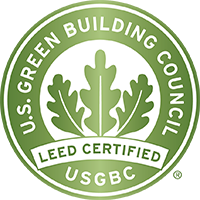 It's a LEED certified building, which means that it was designed from the ground up to save resources and have a positive impact on the health of the community while promoting clean, renewable energy. We can't wait for everyone to see it! Whether you already own a magnificent Chevrolet car, truck, SUV or van or you're currently shopping for one, Jim Norton Chevrolet would like to be your destination dealership. We have an incredible inventory of new Chevrolet vehicles in stock, and we're dedicated to providing our Tulsa County and Wagoner County friends with first-class customer service. Knowing that a new Chevrolet Volt, Equinox, Impala, or any other model from our illustrious line-up might become your next prized possession, our friendly and knowledgeable sales team is here to offer you excellent pricing and a painless car buying experience. So whether you're looking to burn some rubber in a Chevrolet Corvette dream machine or to transport your family in a rugged and sophisticated Chevy Suburban, we've got them all on our lot at Jim Norton Chevrolet. Sometimes a brand new car just doesn't fit into your financial circumstance, so a pre-owned model might be in order. Jim Norton Chevrolet is proud to present our tremendous used car, truck, and SUV collection, featuring pristine Chevy vehicles and those from other auto manufacturers, many under $10,000! But not every used vehicle earns a spot in our inventory, so you know that a Jim Norton Chevrolet used car is unsurpassed. And for even more reassurance, we offer a fabulous selection of Certified Pre-Owned Chevrolets, which are factory reconditioned and backed by an exceptional warranty. No matter which kind of used vehicle you're looking for at Jim Norton Chevrolet, you can be assured a high-quality vehicle at a fantastic price. Not only does Jim Norton Chevrolet sell vehicles, we repair them as well. Our superb Service Department is open six days a week, and we have an exceptional facility with all the latest diagnostic equipment. Our factory-certified, trained mechanics are highly skilled and can work on any make or model of vehicle, foreign or domestic. You can schedule your oil change, transmission overhaul, brake job or any other maintenance or repair by completing our convenient service form online, or call on of our Service experts and have them set you up. We're also proud to tell you about our collision center, where we can repair major body damage from an unfortunate accident, or just some minor scrapes and scratches. No matter what you need handled, from safety recalls, timing belt replacements or routine maintenance, our prices are competitive and you'll find additional discounts on the Jim Norton Chevrolet website via service specials. If you're a DIY type who enjoys getting down and dirty in the engine or under the chassis of your Chevy and you just need a genuine Chevrolet part, our Parts Department can help. Simply tell us the part you need with our online parts request form, or call one of our experts and describe what you're looking for. We carry an array of the most requested Chevy parts and accessories right at our dealership, so if we have your component in stock, you can pick it up the same day. Plus, you'll also find parts specials and coupons on the Jim Norton Chevrolet website, discounting our low prices even further. You won't need to bring in a cashier's check or tons of cash to purchase or lease a vehicle from Jim Norton Chevrolet because our ace Finance team can take care of it all. We provide you with research tools on our website so you'll be well informed before you even step into our showroom regarding your trade-in value and how much car you can afford. Plus, you'll be able to know your rates and terms ahead of time simply by completing our secure, online credit application on the Jim Norton Chevrolet website. Don't worry if your credit score doesn't make financing a vehicle appealing because our stellar Finance experts know how to structure an affordable loan for your situation. If you're a Chevrolet enthusiast in Tulsa, Tulsa County, or Wagoner County of Oklahoma, or the new-car bug has just bitten you, the friendly folks at Jim Norton Chevrolet invite you to enter our showroom. We're conveniently located at 2301 North Aspen Avenue in Broken Arrow, OK, and would love for you to stop by today so we can help you find or fix the Chevrolet that's got your name on it!